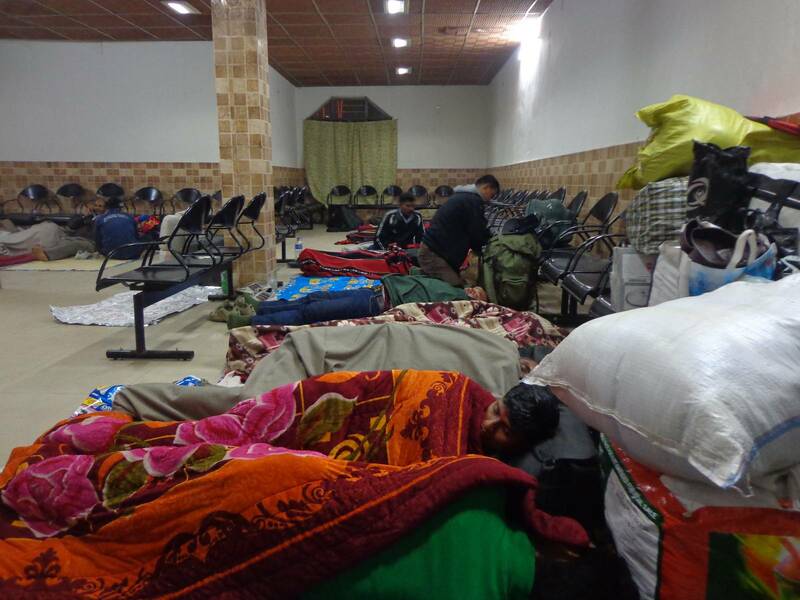 In Dimapur, we ended up spending the night at the railway platform waiting room. The actual sleeping time was spent in a 3-tier AC compartment of Intercity Express between Dimapur and Guwahati. We reached Guwahati at around 5:10 am. It was dark outside unlike Kohima which receives the first bursts of sunlight at around 5:00 am. The waiting room at Guwahati was less than ideal place for us to spend two hours time. I ended up finishing my morning chores even though the toilets were dirty and the basin was clogged. The relatively organised and clean Dimapur waiting room. 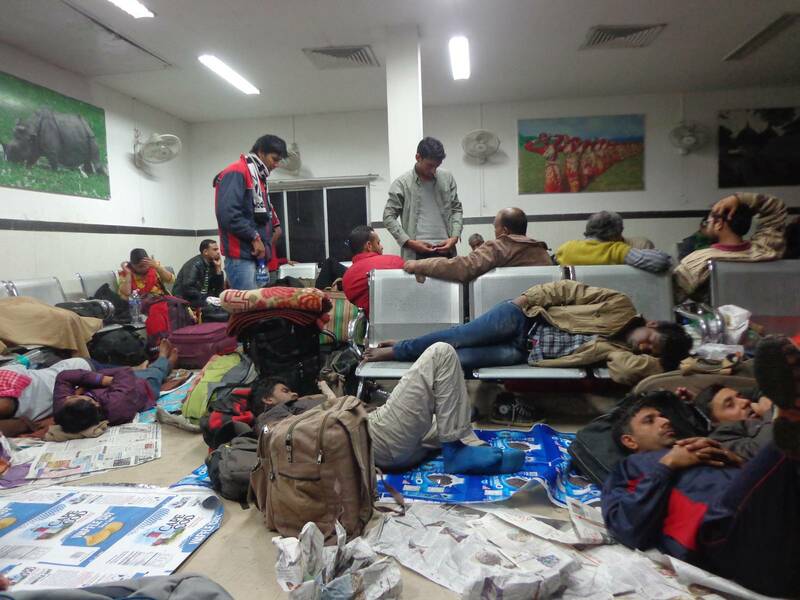 The messy and disorganised waiting room at Guwahati. Papon, a musician from Assam has become the poster boy for the state. His face is plastered all over the city as part of product promotions or public service announcements. 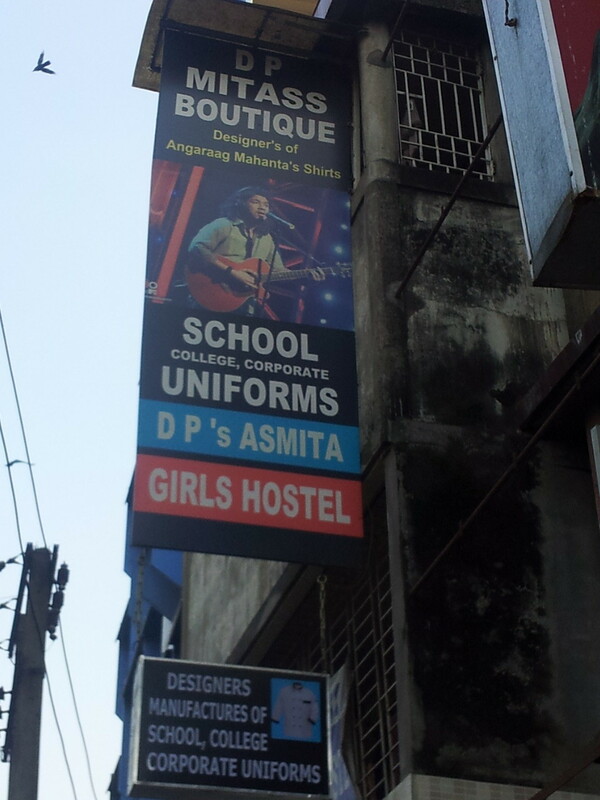 I came across this small boutique clothing store near Nepali Mandir that advertise themselves as the store that dresses Papon. Papon is quite the posterboy for Assam. The name on the poster is his real name. 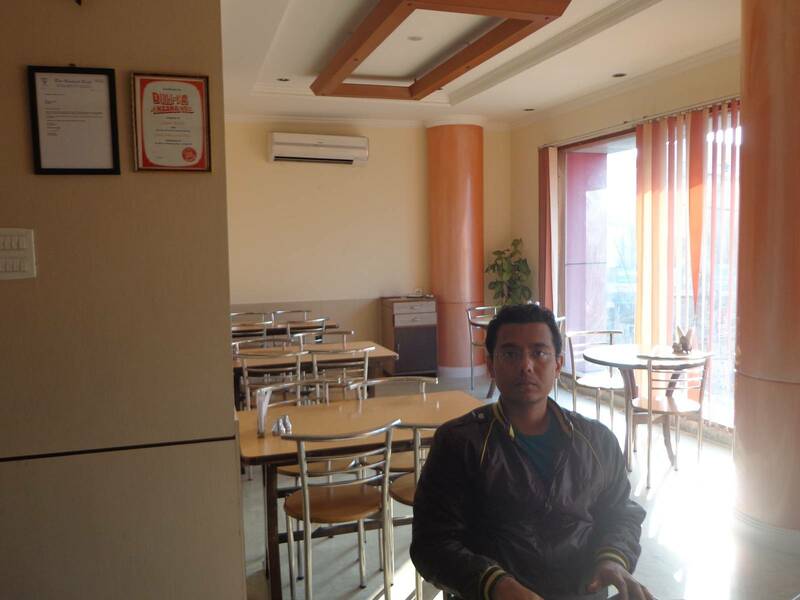 We had our breakfast at Sagar Restaurant. They open up at 8:00 am in the morning. We got there early and had to wait in the lounge. 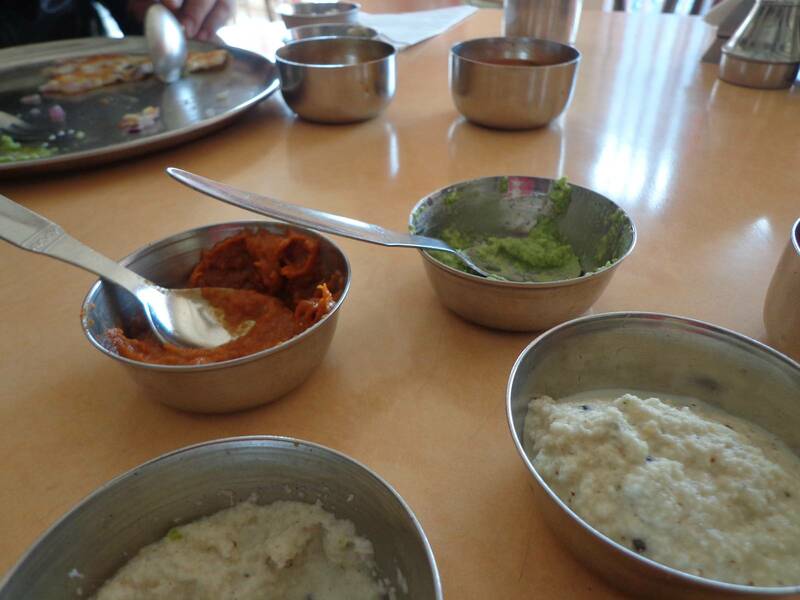 The rava dosa and the Uttapam was good. However, they served a green, mint based and a red, tomato based chutney (condiment) that stole the show. I would highly recommended this place for breakfast. Nandy at Sagar restaurant. They have framed their accolades and hung them on the walls. Here is a small piece of information about getting from Guwahati Paltan Bazaar to Airport. ASTC Volvos run from a stand near Ulubari Flyover (opposite to the petrol pump) every hour starting from 6.15. You will have to reserve a seat. At only 130 rupees it is the cheapest mode of transportation. The lady at the counter flatly refused a written or a printed ticket though. Guwahati airport has shameful 3G signal strength. The free wifi works for only 15 minutes. It is enough to publish this pre-drafted post. The cheapest tea I've had in recent times.